Tjena, hur är läget?! Oh have I got the most inviting of home tours to share with you today! I was so happy to meet interior stylist Anita Yokota at the Domino Design Blog Awards in New York in December (Anita was the well deserved winner of the 'best new blog' category). I can safely say she's the loveliest of people and just SO talented! 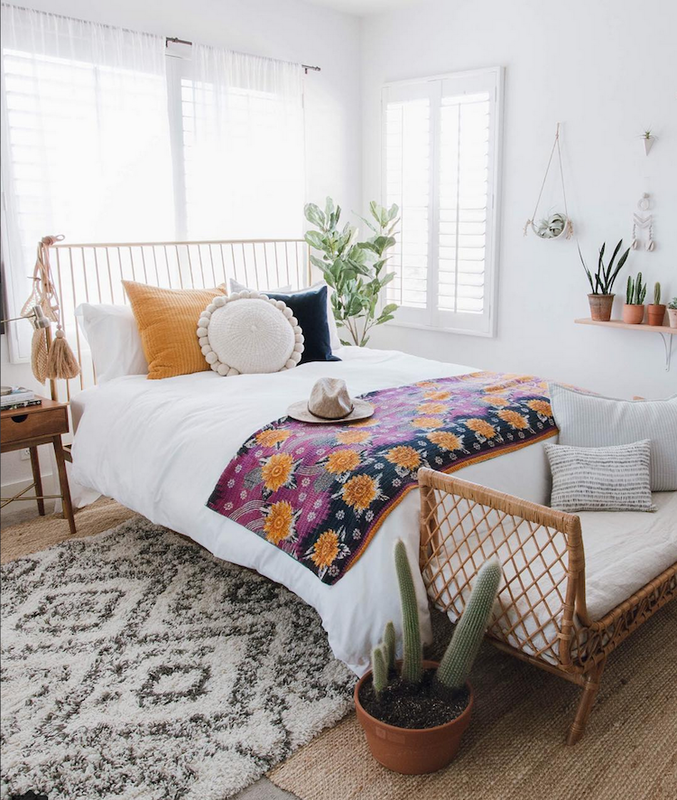 A quick scroll around Anita's blog will have you re-arranging your home in no time - and her Instagram feed will result in searches for Moroccan poufs faster than you can say "boho"! 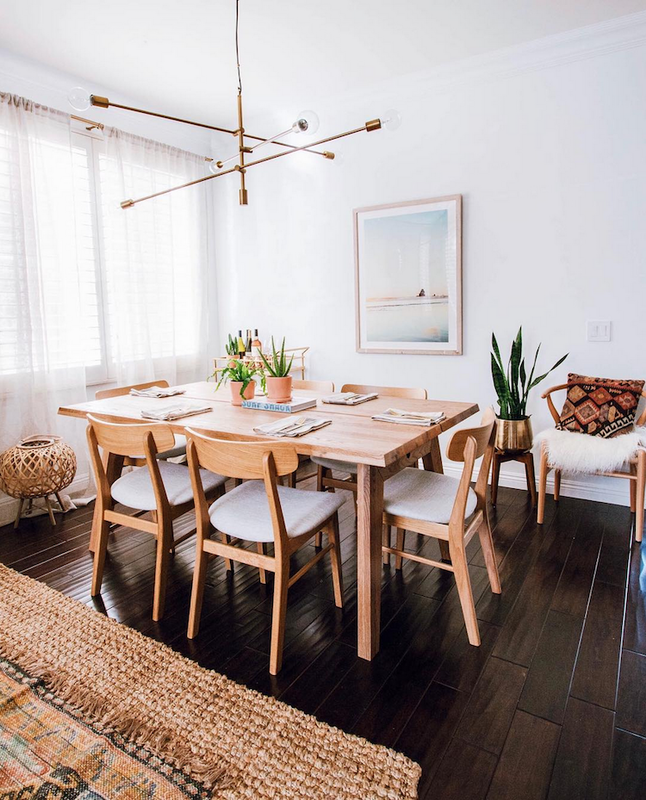 It was so fun to catch up this weekend to find out a little more about her lovely, relaxed home in Orange County, California where she lives with her husband and three daughters. Eclectic for sure! I love the California Cool look. 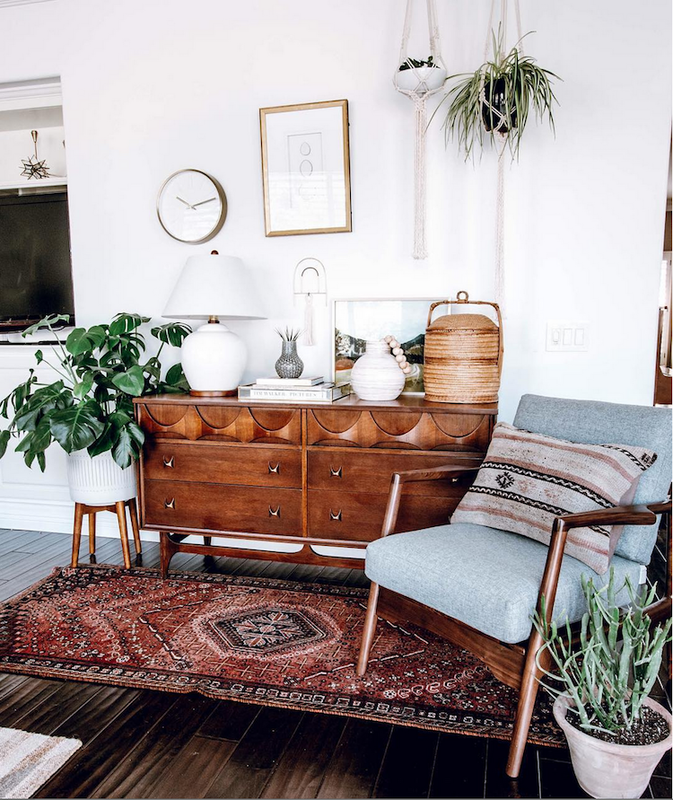 I am drawn to the vintage vibe of MCM, Scandinavian clean lines with a flair of bohemian patterns and textures. 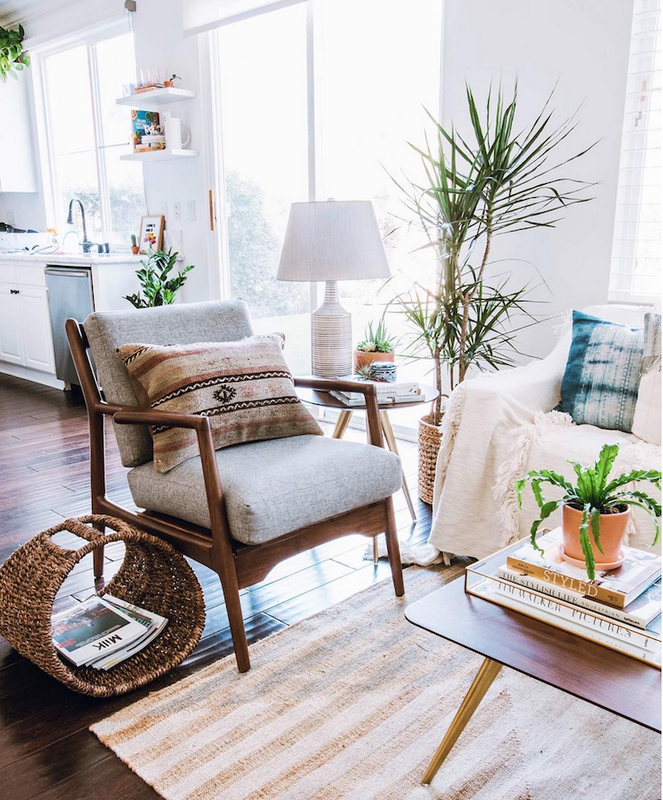 Source a similar pouf here and jute rug here! The side table is from West Elm. West Elm, Article for furniture. Etsy shops for textiles and pillows. Parachute Home for bedding and bath. Obsessed with Anthropologie for their textiles and kitchen and work desk decor. I love that it speaks my style and every corner tells a story of why it functions for us as a family. Do you have any tips for anyone looking to create a similar style? My holy trinity of styling is layers, textures and patterns. They can be tone on tone or wildly contrasting. As long as there is balance and clean lines are visible in the space, you are good to go! Loving the Face shower curtain in the kids bathroom! Thank you so much for inviting us in and telling us more about your home Anita! 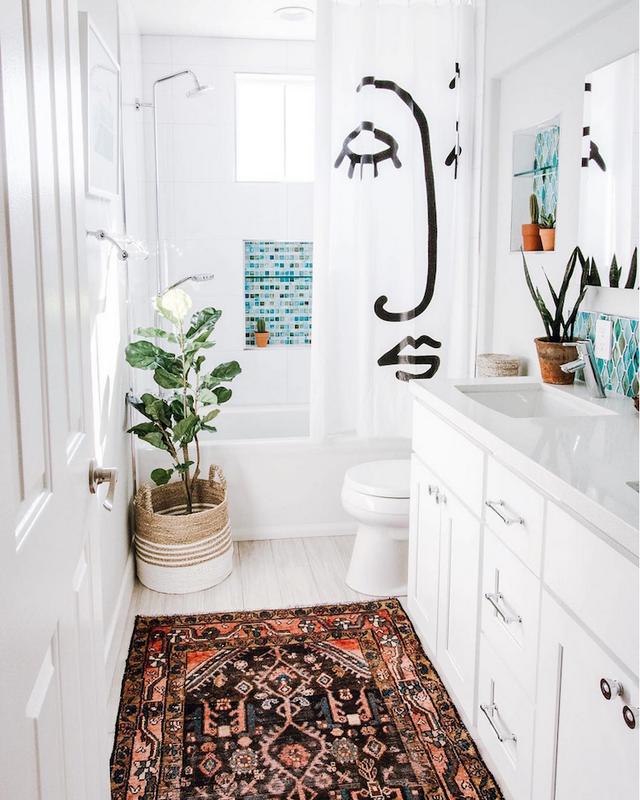 For more inspiration it's totally worth stopping by Anita's blog - which she started almost a year ago to share her passion for design in easy, relatable design tips that anyone can translate to their homes. And her fab insta feed! Have a great start to the week allihoppa! 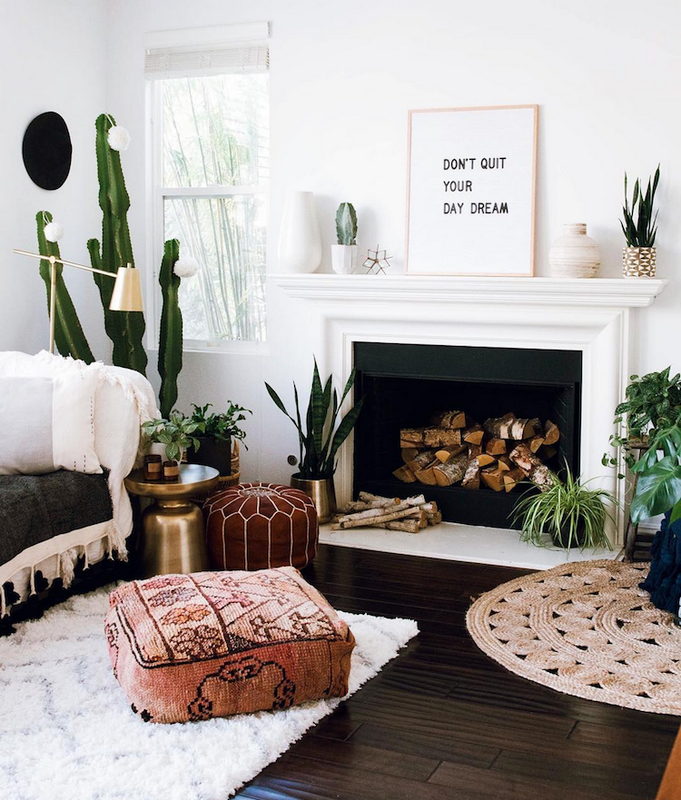 PS More beautiful bohemian style homes here (if this pops up first just head on past, unless you want to look at it all over again, which I'd completely understand!). PPS So looking forward to showing you my new gallery wall over my window nook tomorrow! *This post includes affiliated links which means that I make a very tiny amount of money (perhaps enough for a coffee (flat white!) and a choccy biccy from each post!) if you click or buy items - although this won't cost you any extra! Thank you for supporting the businesses that make My Scandinavian Home possible. 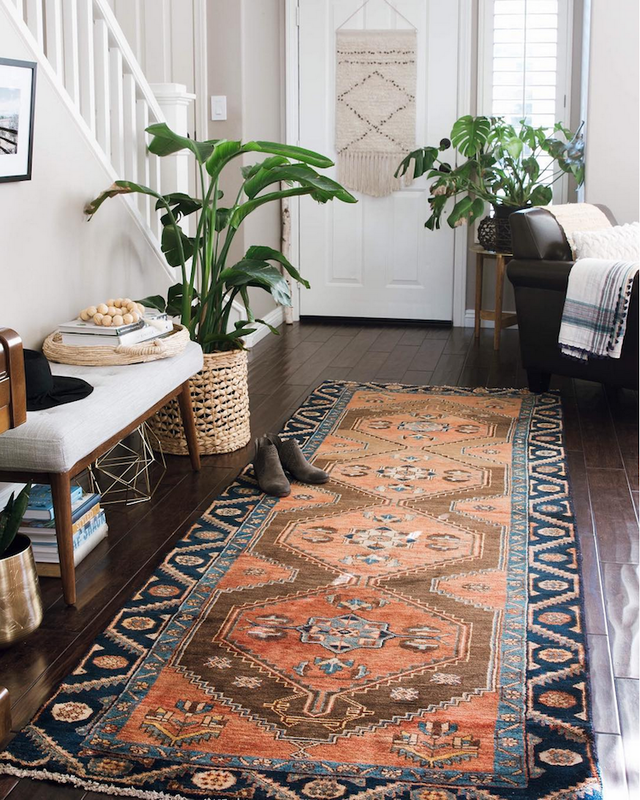 I love this home - love the colour, love all the textiles. Really beautiful, and that credenza is lovely. I'm loving the colour and textiles too Susan - it makes it all feel so warm! 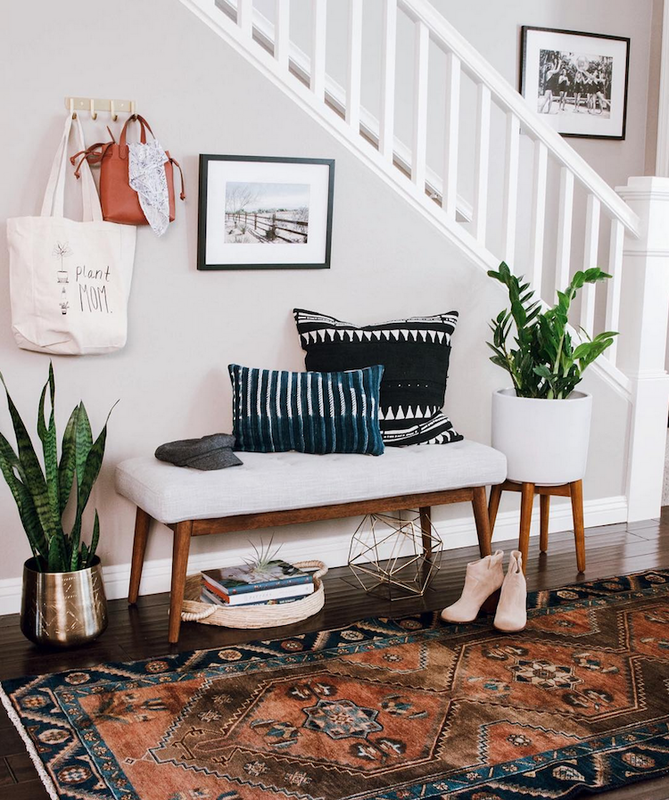 Why the switch out with different houseplants featured next to the bench in the entryway?? These images were taken from Anita's instagram feed (with kind permission). Anita takes lots of pictures of her home over time and so these hallway shots weren't taken on the same day. I hope this helps! 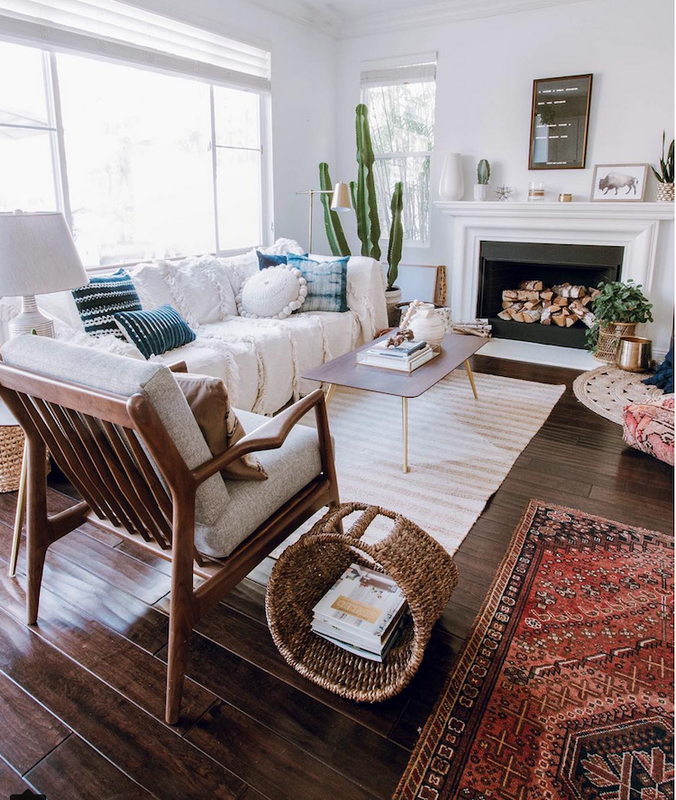 This home is seriously gorgeous *_* I love how cozy and lively it looks! Her Instagram feed is one of my favorites!